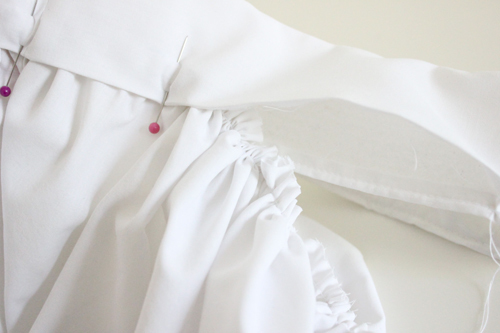 Welcome Delia Creates to the Handmade Costume Series! 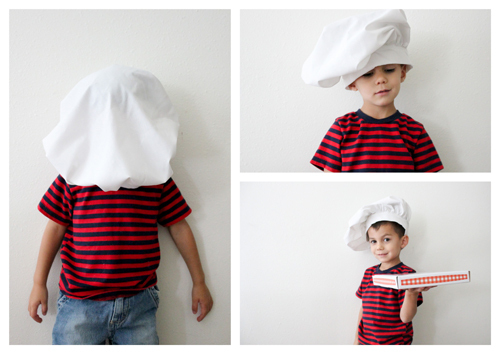 This pizza chef hat tutorial is fabulous! I love it! 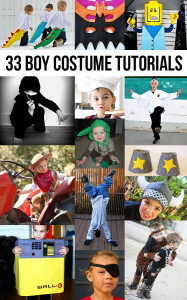 Check out all the other costume tutorials too! 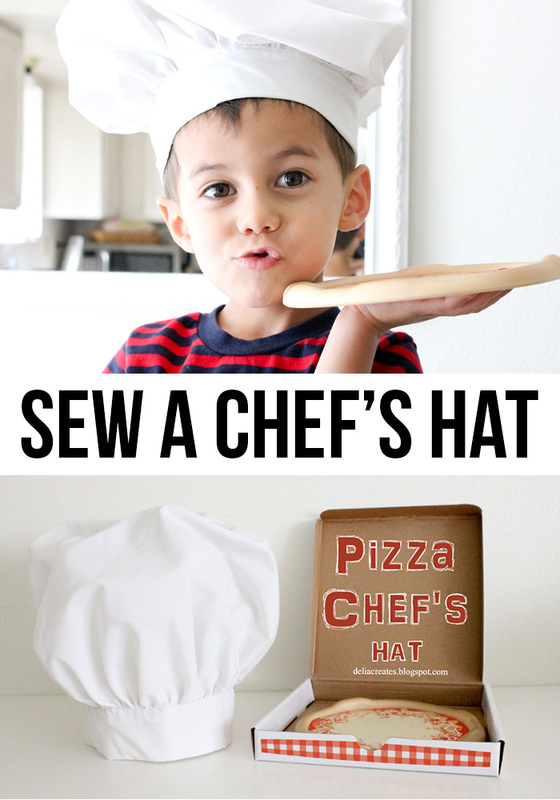 Once you’re done making this chef’s hat you should whip up a pizza in a pizza oven (one can dream)! I am not quite ready yet to start sewing for Halloween, mostly because my kids change their minds a million times before we settle on the right one. 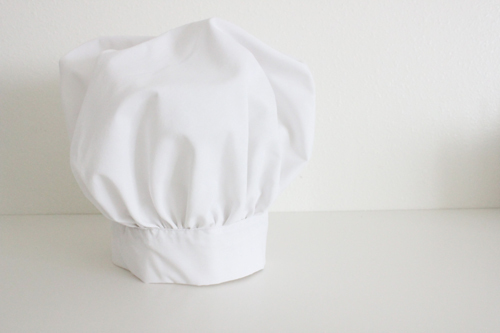 So, today I’m sharing a fun, easy chef’s hat that’s a great staple for any dress up basket. 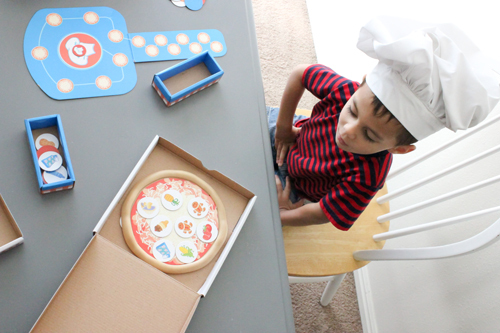 My middle son, Reid, LOVES to play this obscure pizza listening game we have, at least once a week and his “favwrit” food also happens to be pizza. 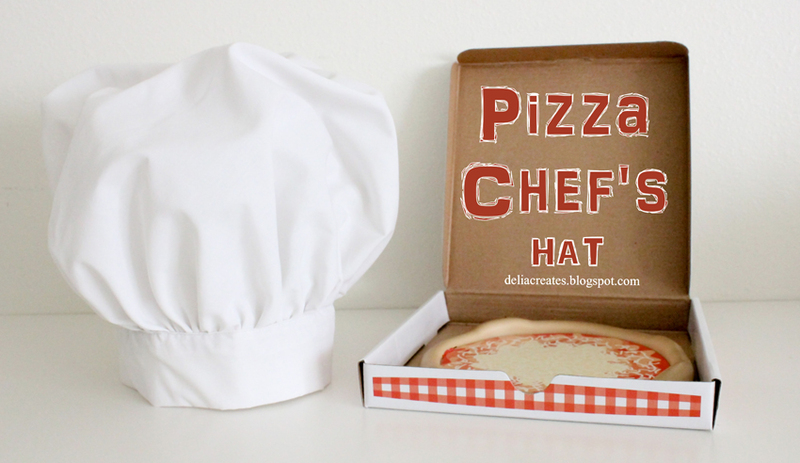 So, when trying to think up something fun for this dress up series, a pizza chef’s hat seemed like the perfect choice. Now…I didn’t think this tutorial up entirely on my own. I made something very similar using a free pattern from Joann’s a few years ago. Not having kept the hat or the pattern (it didn’t turn out great since I was still learning), I made a new hat from memory and added my own little preferences and touches as I went. 1. Cut out a circle for the top of the hat. 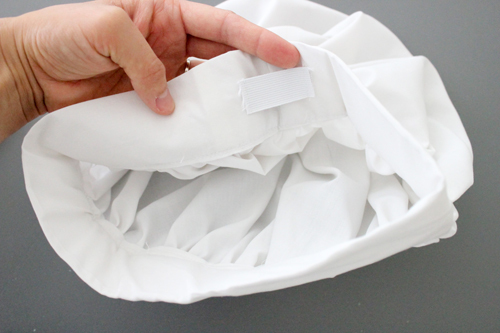 *Fold your fabric into fourths. 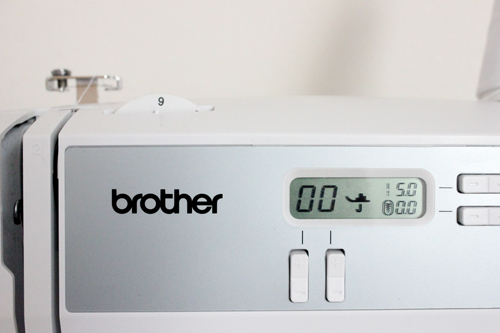 *Determine how full and floppy you want your hat. I used a radius of 12 inches for a very floppy hat. Then, I marked out a quarter circle and cut away the excess. 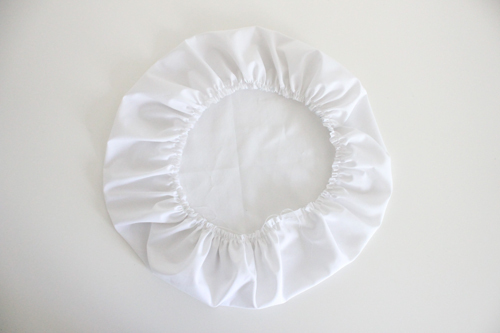 *For a less floppy hat, use a smaller circle of fabric. 2. 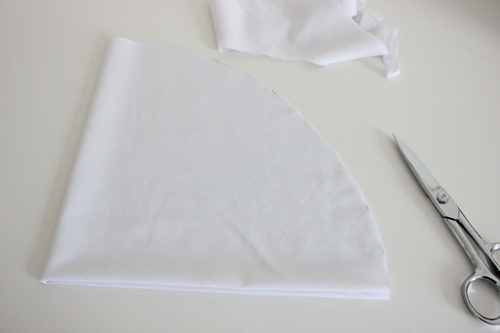 Cut two pieces for the head band. 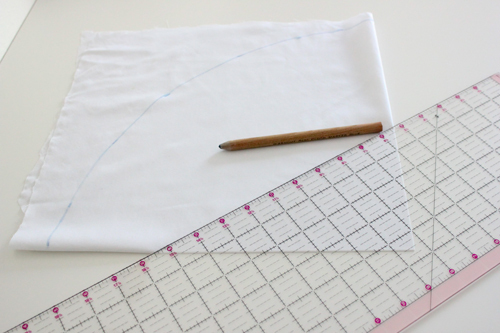 *Also cut a 5 inch wide strip of white cotton fabric the same length as your interfacing. 3. Assemble the head band. 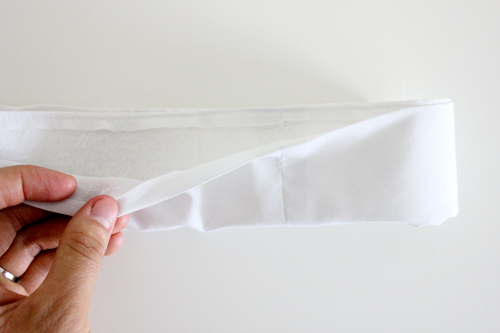 *Sew your interfacing and cotton strip together, right sides facing (if there is a right side). 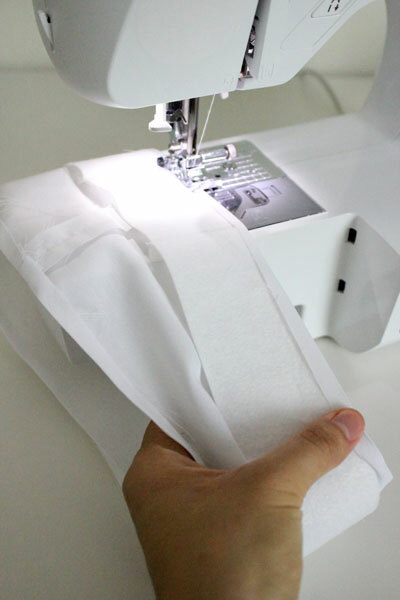 * Iron the seam of your cotton strip open. 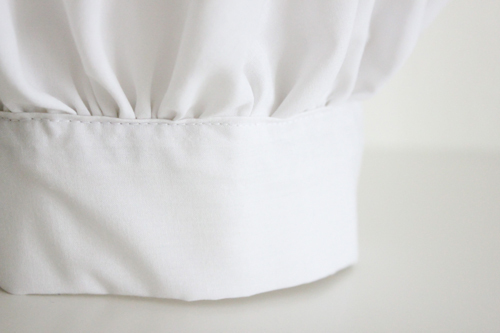 Cuff the strip in on itself so it should be half its width. 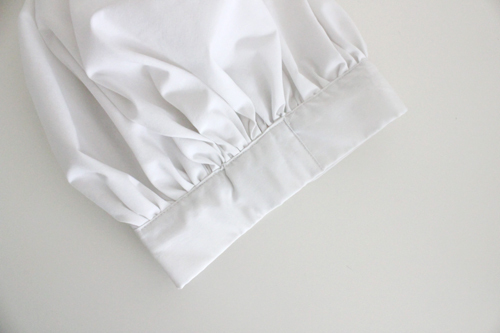 Fold the raw edges inward about 1/4 inch along the perimeter of the head band and press everything with an iron. 4. 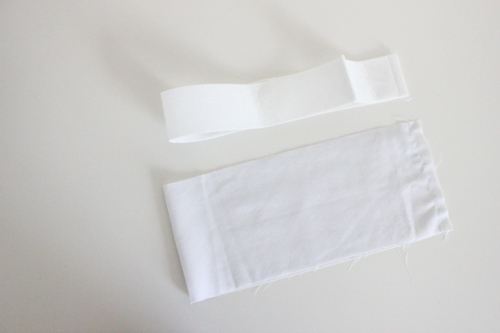 Attach the interfacing to the head band strip. 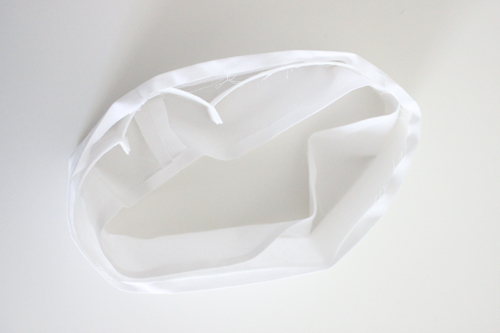 * Tuck it up under the ironed over fold of the inside of the headband. 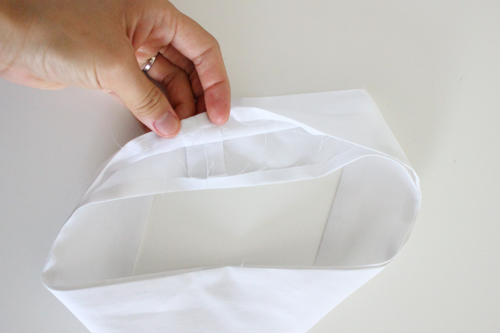 *Sew the interfacing into the head band “cuff.” This helps keep everything from shifting when you attach the hat top of the headband. It also ensures that you will catch all layers. 5. Ruffle the top of the hat. 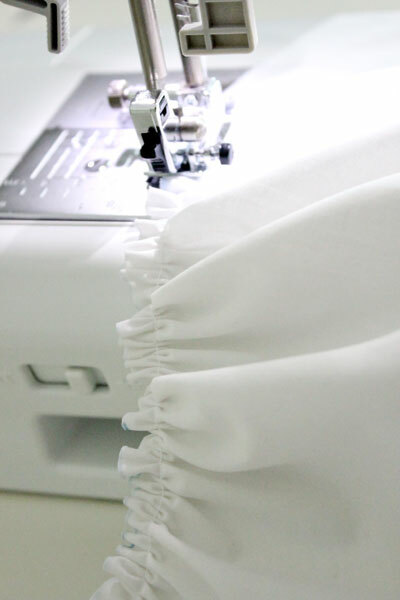 *The easiest way to do this, I find, is to increase your stitch length and increase your machine’s tension to the highest it can go. Pull the threads tight as needed. 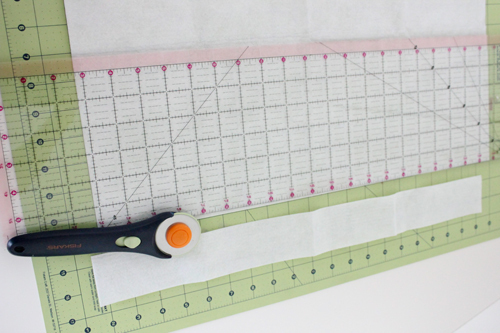 Then REMEMBER to adjust your tension and stitch length settings back to where they normally are. 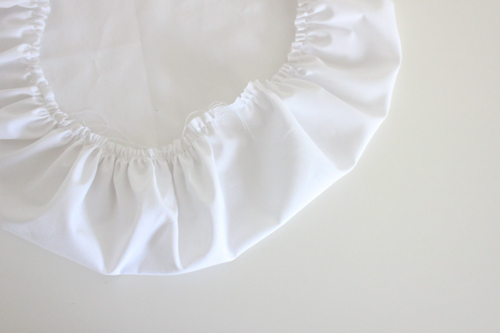 *Then sew the headband to the hat top all the way around close to the edge of the cuff, removing pins as you go. But wait. I wasn’t quite done after this step. I made the hat a bit too big. Haha…I made this when Reid wasn’t home, so I guessed on his head measurment. Yeah…way off. 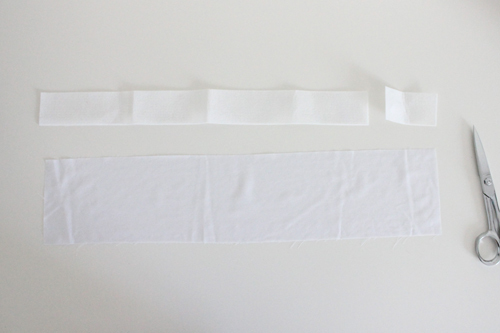 At first, I tried remedying the problem with a little strip of elastic. It helped a little bit but not enough. I eventually, decided to go back in, rip some stitches out and make it fit. 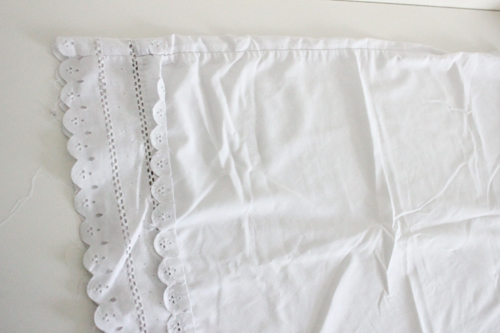 I guess I didn’t need that extra strip of interfacing after all! 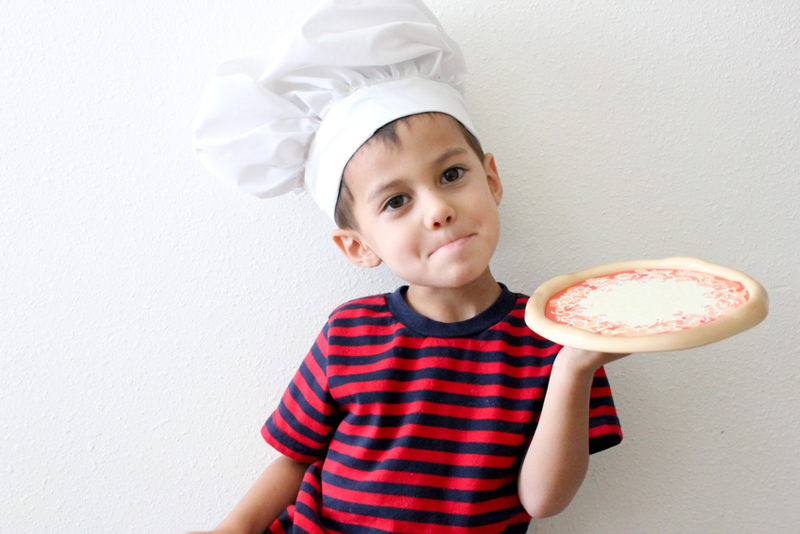 And now my little chef can make-a some pizza pies! Thanks for having me Andrea! It was a pleasure. SUPER CUTE! Looks like Reid had a lot of fun wearing it! I love this Delia! 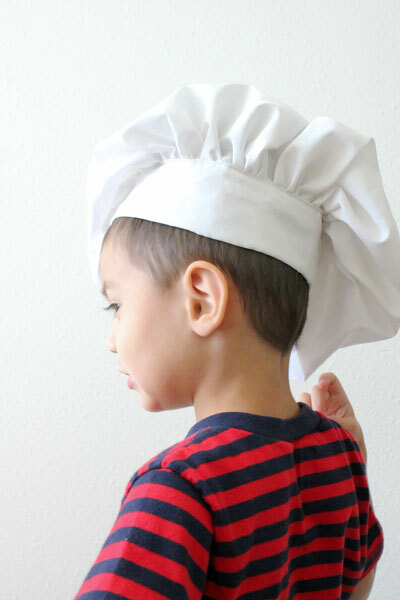 My son loves to help in the kitchen and now he can have something to wear since he is opposed to his sister’s apron 😉 Thank you for a wonderful tutorial. It looks great. Thank you for the tutorial. Regards from Spain. 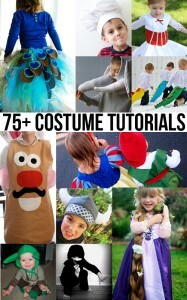 I’m going to make 7 of these for my daughter’s third birthday. Thanks for the fun, easy tutorial! So excited! Perfect! My daughter is in culinary school. I think I am going to make one for her dad and one for me to wear when she comes home. And Reid is a perfect inspiration!!! Thank you SO MUCH for sharing!!! 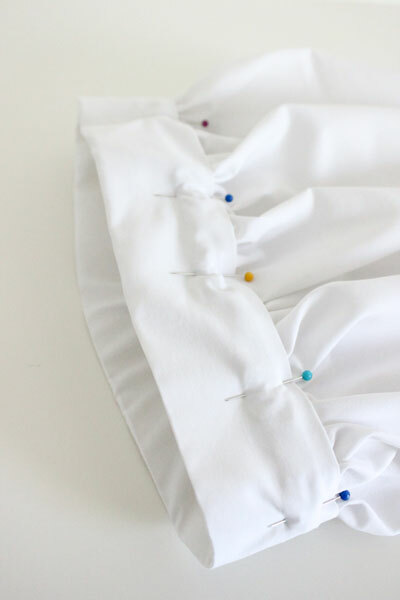 I can’t wait to make this and I would not have tried to with out the tutorial. Thank you. 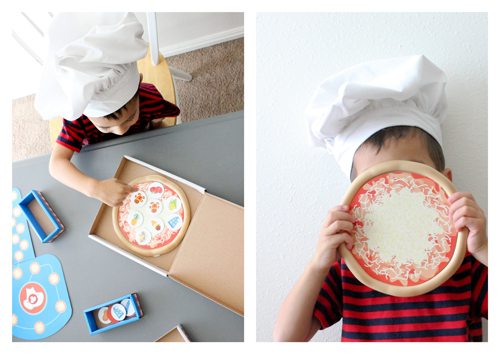 This is too cute – and so easy. 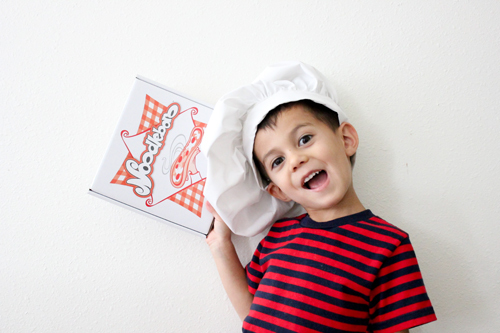 I’ve always wanted my son to have one of these! Thank you so much for the tutorial! Thanks, this was pretty easy to follow, and came out great!